London: Reprinted by C. Whittingham at the Chiswick Press, 1819 Originally printed by Thomas Thorp, 1612. Without half title. [iii] - viii, 119p. 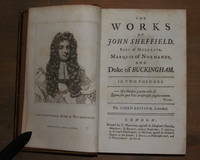 Vignette of Globe Theatre on title page. Light browning to page edges. Bound with Minot, Laurence. 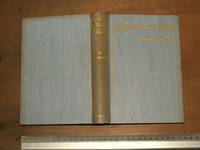 Poems, written anno MCCCLII with introductory dissertations on the Scottish wars of Edward III on his claim to the throne of France and notes and glossary by Joseph Ritson. London, J.H.Burn 1825. [iii] - xlv, [vii see below], 196p. Lacks half title - perhaps bound in later. 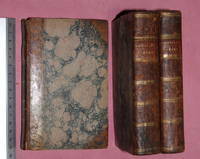 Between introduction and text has two half titles [one with repaired tear] and repeat of title page. 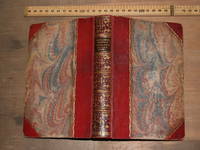 Bound half leather, rebacked retaining original spine, very attractive gilt decoration. Marbled boards worn. Page edges and eps marbled. Ffep cracking and starting to detach. Armorial bookplate of Charles T Hebbert.. Half leather. Good.